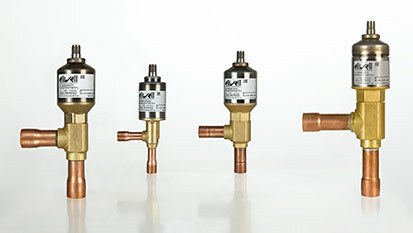 The bipolar expansion valve series SXVB regulates the flow of refrigerant to the evaporator by proportionally modulating its opening and closing, allowing a wide range of power variation. Highly precise and reliable control of refrigerant flow increases the efficiency of the entire system. There are four valve bodies and ten orifices to meet power ratings ranging from 10kW (R404) to 257 kW (R410).